Skip That Drink And Prevent Muscle Loss! You may not think that muscle loss is anything you will ever have to think about. The truth is that all women will experience some muscle loss after menopause. To say all women lose some muscle as they age may sound like this is just a normal part of aging and nothing to worry about. That is true to a point. It is doubtful that women can prevent all muscle loss no matter what steps they take. However, even small increases in muscle loss can impact your balance, overall strength and ability to do daily tasks and enjoy your life! Learn now what to do to limit any muscle loss you experience and protect your quality of life. 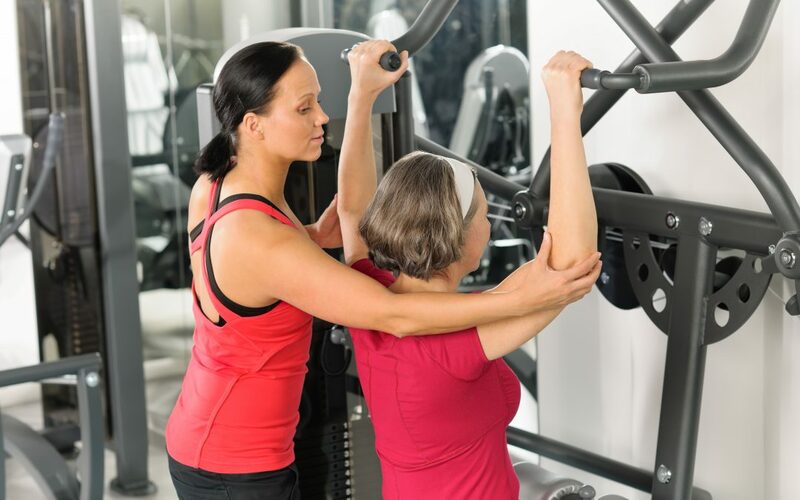 Here is a discussion of how muscle loss affects women after menopause. Aging results in a progressive loss of muscle mass and function called sarcopenia, with midlife muscle mass declining to approximately 75% after age 80 years. This translates to decreased muscle strength, which, in turn, increases risk for falls and fractures, impairs overall ability to perform tasks of daily living, and reduces quality of life. As the world’s older population continues to grow, the effect of sarcopenia and its related morbidity thus represents a significant public health concern. Prevention and early detection of sarcopenia among postmenopausal women could therefore help to prevent aging-related diseases. A recent Korean study shows a link between heavy drinking and muscle loss in women after menopause. Of course, one study can give an insight into what can happen in our bodies but does not prove what any one woman’s life experience will be. It makes sense to pay attention to the warnings that this study offers and take any steps available to reduce possible muscle loss in middle life and after. In this excerpt, we can learn more about the study and see several simple steps that could help you keep your muscles strong and working for all of your life!. …Postmenopausal have lower estrogen levels due to menopause. Heavy use of alcohol in this group of women led to more muscle wasting, less strength and poorer physical performance. Exercise, and possibly postmenopausal estrogen, may play a beneficial role in maintaining muscle mass,” JoAnn V. Pinkerton, MD, executive director of The North American Menopause Society, told MedPage Today in an interview.